Since having children, Christmas has become even more of a magical time for us. They make it even more exciting. They love everything about the festive season especially decorating the house. This year, will be an extra special time of year for us as we will be spending Christmas Day in Australia with my family. My mum, sisters, stepdad, aunty and uncle emigrated there 9 years ago but this will be the first time we have ever had Christmas there. The thought of not having a traditional British Christmas dinner worried me, so we’ve decided to have a family dinner with the rest of my family at our home this weekend. 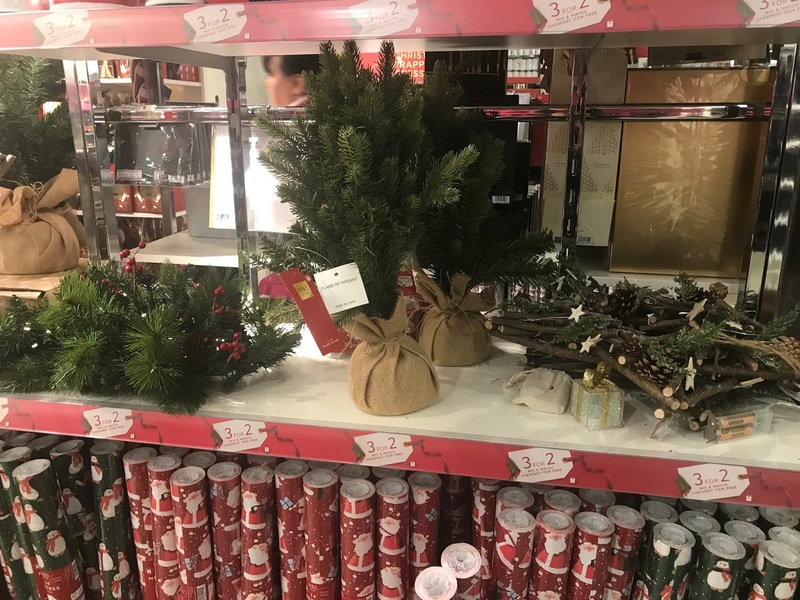 With that in mind, Fforestfach Retail Parc gave me a shopping mission and asked me to decorate our home from a selection of stores with a budget of £200. This was perfect timing as even though we have plenty of décor around the house, we didn’t have anything to dress a Christmas table for our Christmas dinner. It was fairly safe to say we had no decorations in our kitchen and we certainly weren’t prepared to host a dinner for 10 people. 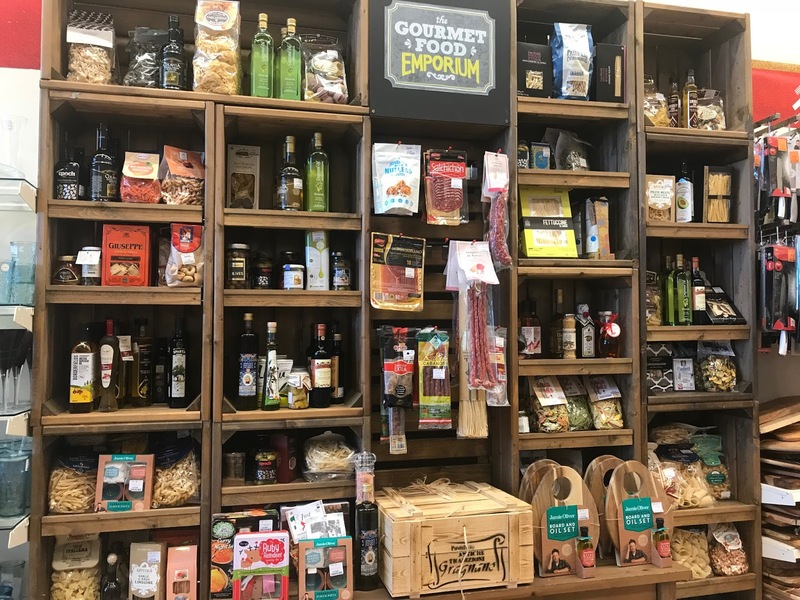 Fforestfach Reatil Parc has a fantastic selection of stores which cover everything from homeware to fashion. My favourite part about shopping there is the fact you get 4 hours free parking which is such a rarity these days. I shopped till I dropped and I was able to pop any heavy bags into the car instead of lugging them around. Just what you need when you’re doing Christmas shopping. 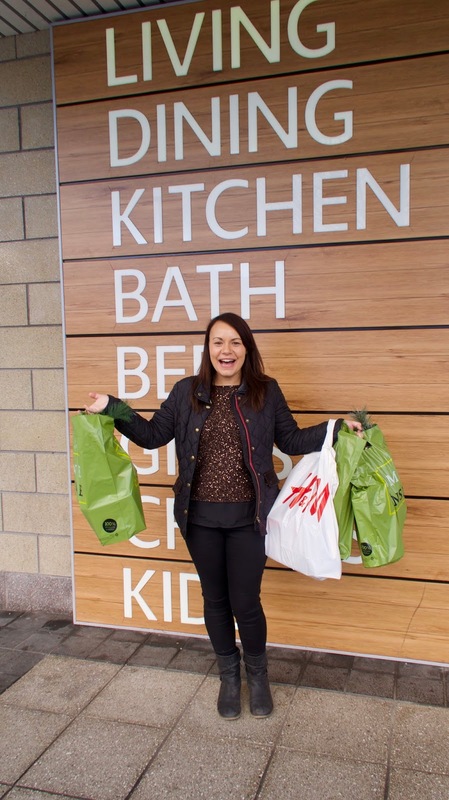 My mission was to find things for the home from Homesense, Marks and Spencer, Boots, Poundland and H&M. I was also allowed to buy some gifts which I kept within the home theme. 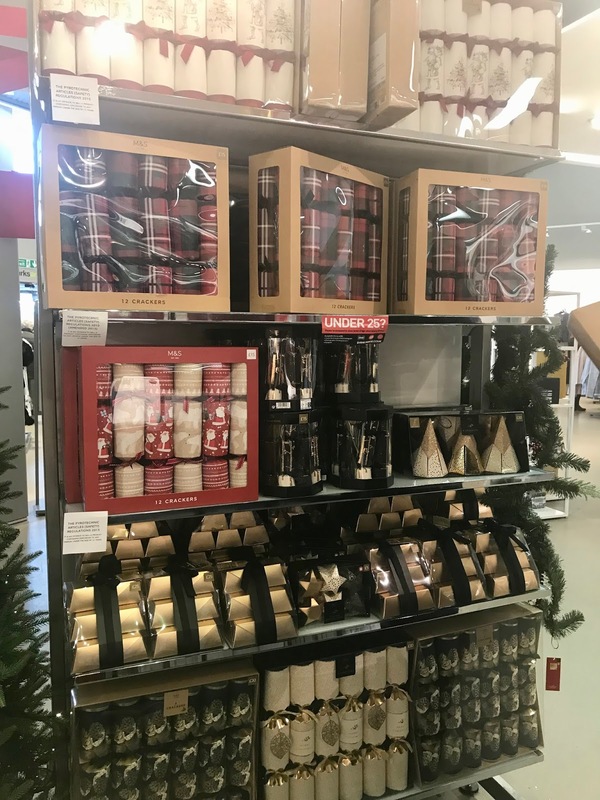 There are some great festive decor themes this year such as woodland, brights, animals etc but we decided to choose traditional so we were looking for lots of reds, tartans and cute Christmas prints for the kids to enjoy. We started our shopping spree in Marks and Spencer. We needed some new wine glasses for our festive meal so those were our first pick. We chose some gorgeous Nova red wine glasses which cost £29.99. Even though they are delicate, they are dishwasher friendly, wahoo. I also found some craft beer glasses as a gift which cost £10. 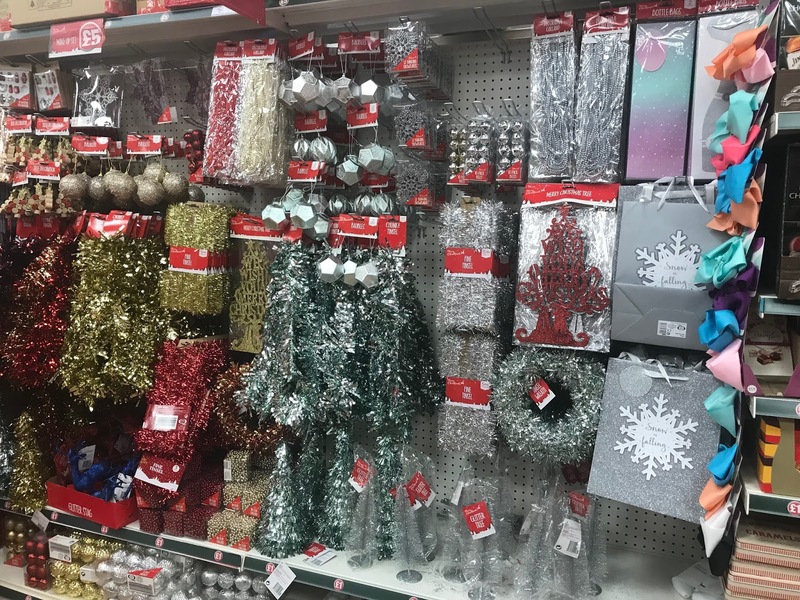 I then headed to the decorations and found a beautiful star shaped wreath for £29.50, a pot pourri metal tree for £15.00 (which smells and looks amazing) and a set of red character crackers for £15. The decorative items were included in their 3 for 2 so I spent £85.05 in Marks and Spencer. Next up was H&M. I couldn’t find anything to decorate our home itself so I decided to look for some secret Santa pressies. I bought a make-up bag (to be used as a pencil case) for £3.99 and some decorative tape for bullet journaling and planners for £2.99 so a grand total of £6.98. They have some gorgeous small items in store which are ideal for stocking fillers or secret Santa gifts. We then headed for Poundland. This store always amazes me as it literally has everything you could possibly need. We bought a table runner, coasters, fairy lights and pack of red baubles which will be used as place name settings at our dinner. This came to a total of £4. 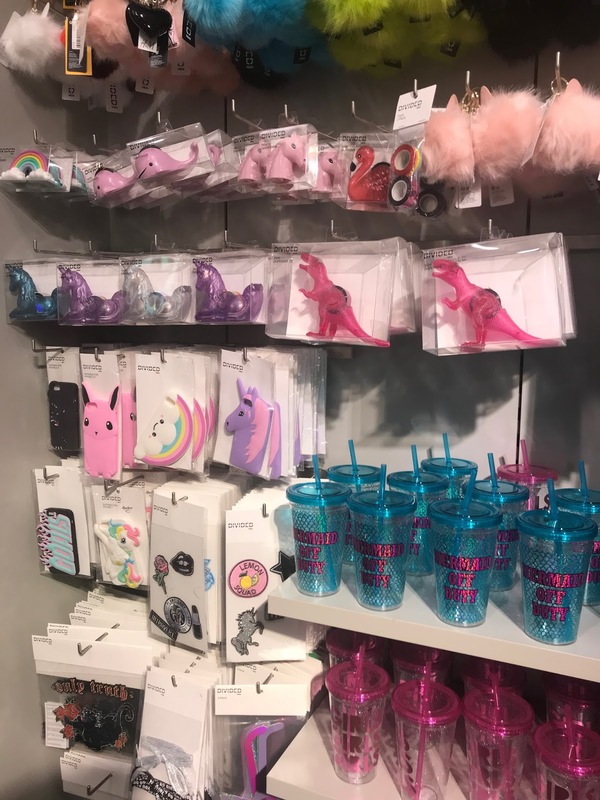 Then came the big shop…Homesense. I spent ages in there (much to my husband’s dismay). They have so many wonderful things for the home on offer. There were decorations, toys, candles, tableware, pet items, food, you name it, it was there. I decided to pick up two small artificial trees priced at £7.99 each. I thought these would make great table centrepieces. They can then be used as decorations elsewhere. I also purchased some festive wine stoppers (we will drink a lot of wine at our family meal) priced at £7.99. They had a huge selection of crackers. I knew we had some for the grown-ups so I decided to buy some cute, Elf crackers for the kids which were £12.99. I also found some tartan napkins which matched perfectly to our traditional theme and they were £4.99. I then decided to buy some homely gifts as they had such a good selection. I bought 2 Christmas themed drinks flasks at £6.99 each and also 2 a4 sized planners, priced at £12.99 each. I spent a total of £73.92. We then decided to have a pit stop. All that shopping was thirsty work so we headed to Marks and Spencer for festive hot chocolate and latte’s. Last up was Boots. 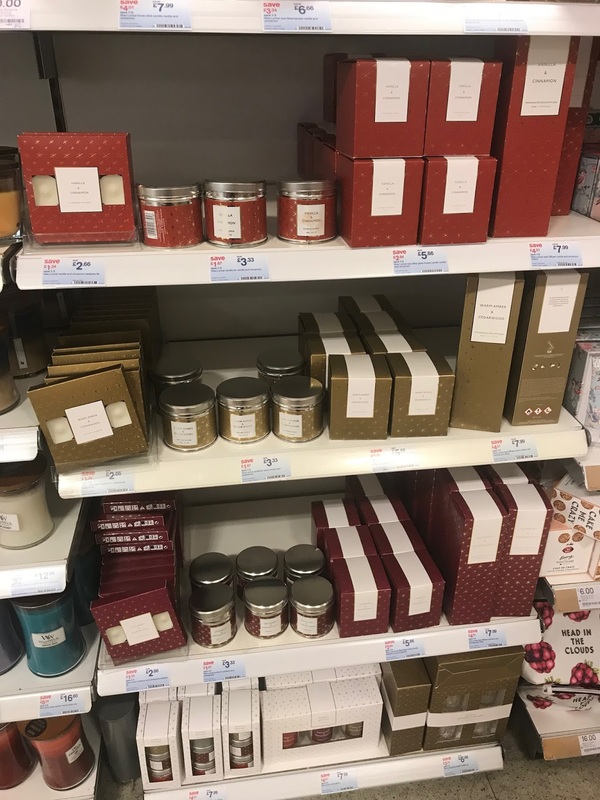 I was going to buy some candles for our Christmas table but decided against it. I chose to pick up some stocking fillers and gifts that were included in their fab 3 for 2 offer. I bought 3 small make up brushes and 3 children’s toiletry gifts for my girls (I won’t show you a picture of them, just in-case they see). I spent £23.00 on 6 gifts. Overall, I was under my budget at £192.95. We now have a wonderful range of decorative items and tableware to make our family Christmas dinner special. Make sure you follow me on Instagram so you can see our finished festive look this Sunday. 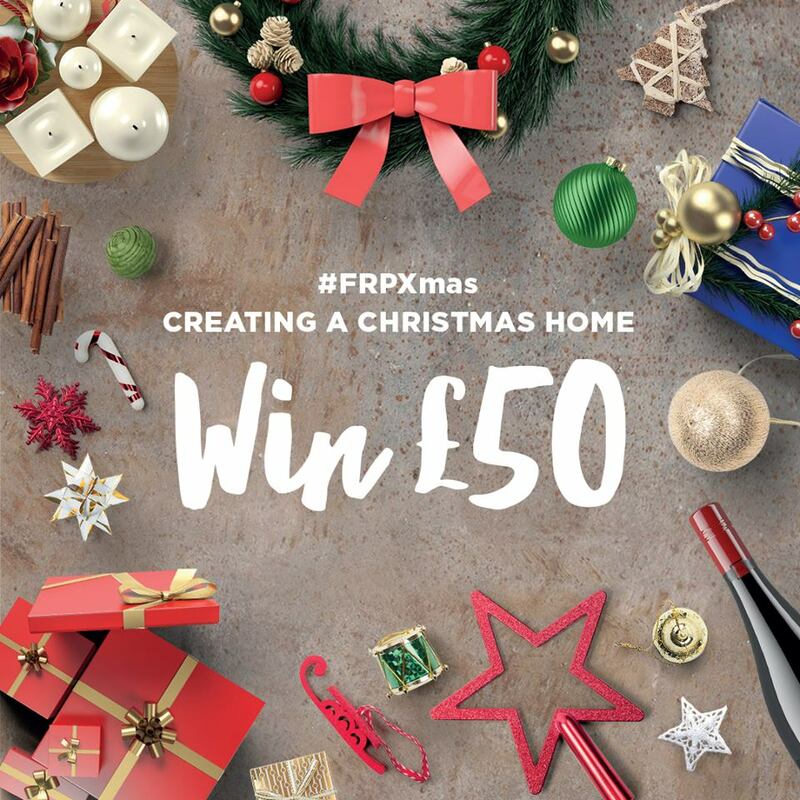 To celebrate my partnership with the Fforestfach Retail Parc Guide to Christmas, we’re giving someone the chance to win £50 to spend on making their home sparkle this Christmas! To enter visit the FforestFach Retail Parc facebook page. Competition closes on Thursday 14th December. Follow their twitter page for updates.